This week I visited the beautiful coastal town of Mombasa, and that is where I met Esther Wanjiru, a school teacher who owns a small “everything” store. Esther has had the shop for the last year while continuing to work as a school teacher, which she has been doing for the last fifteen years. Esther teaches high school students English language and literature, and was able to meet with me because she is currently on half term. She gets three one-month breaks a year. 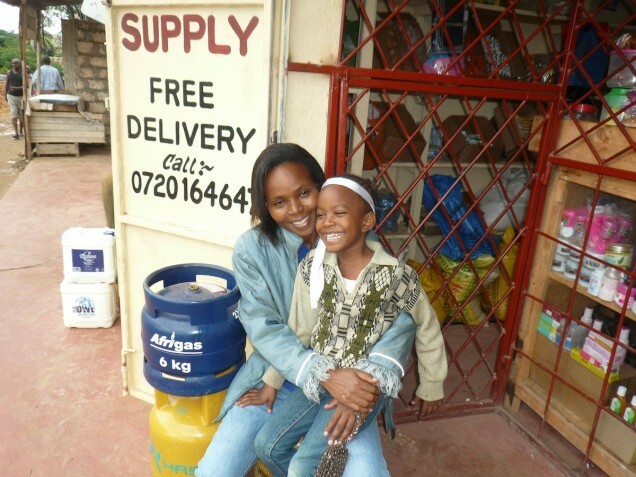 This contributed to why she started the “3 in 1” store that is part M-PESA (a mobile phone-based payment transfer service), sells gas, phone credit, and other household items like cooking oil and grains. She said that during these breaks she would even get bored since she is the type of person that enjoys being busy. 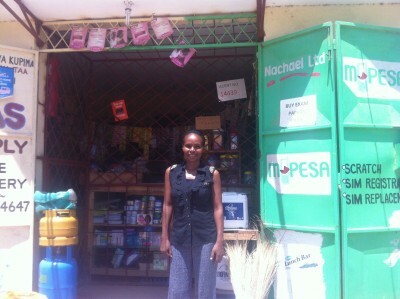 With the help of Zidisha lenders, the business is doing well and has grown. 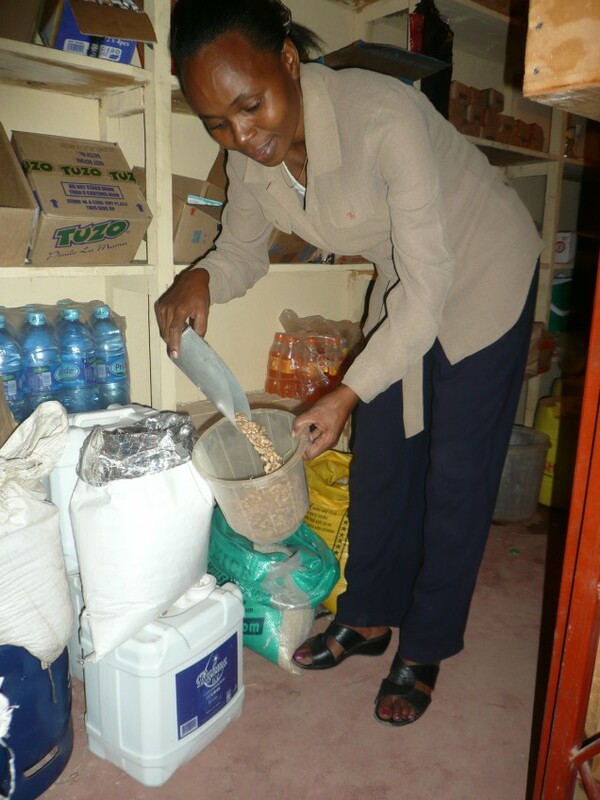 She has used the loans to purchase gas cylinders, cereals, and other items that have added to her stock. In the beginning she just sold gas. Esther is originally from up country and came to Mombasa fifteen years ago once she had graduated university. She had secured a government teaching job, but later found out it meant relocating to the coast. She said she cried, but her mother told her to just go and she would make friends. Well, not only did she make friends, she met her husband here, who teaches computer classes downtown. They have a daughter, who is also featured on the Zidisha homepage, and an older son (featured above). The children study at the SOS school in the village of Mombasa. The SOS schools integrate orphans with local kids from the communities. With the school fees from the local families, they are able to also pay for the schooling of the orphaned kids. Esther is proud of this setup. She has also worked to teach her kids to appreciate the things they have. She gives them money if they want to buy something at the store she owns, so they understand how much things cost. Customers kept coming and going while I was there, and when Esther is working at the school, she has one employee tend to the store. The shop is open every day from 6 AM – 8 PM (6 AM because that is when the milkmen arrive). It’s a lot of work, but Esther said she is happy and has learned a lot over the course of the year. 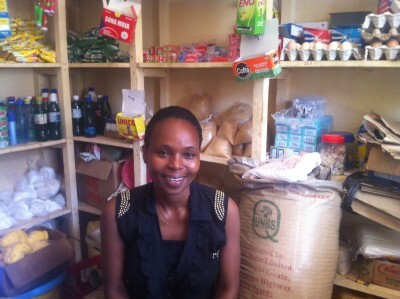 Currently she is using the profits from her shop to reinvest and grow the store. She is also paying the school fees of her younger brothers. She has encouraged her sister to join Zidisha as well. Her sister now owns a couple of cows up country and is doing well. Esther is hoping that one day she will join her up country and start a school. It’s a dream that would come much later when her children are older, but she sees what possibilities are out there. I left the store with a bag of cookies, and Esther helped me get a Tuk Tuk (a small three-wheeled taxi) to the city where I would meet another Zidisha member. Esther is an educated and bright woman. I am positive she will do incredible things in the future, especially with the help of Zidisha lenders! It was an absolute pleasure to visit her. Posted on March 22, 2015 by Julia Kurnia. This entry was posted in Uncategorized. Bookmark the permalink.